Call this 4000+ sq.f. house YOUR home. 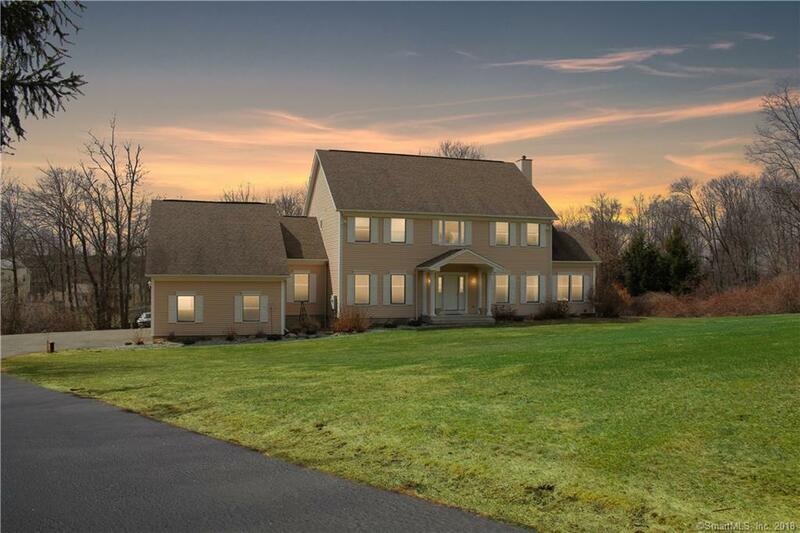 So much room for entertaining in this nicely flowing colonial. 4 generous bedrooms, each with direct access to a full bath, very spacious home with 9ft ceilings on the main level, crown molding, nice finishing touches, large windows for lots of natural light, Kitchen features all SS appliances, granite counters, an island with cooktop, double ovens and more. New lighting fixtures and ceiling fans throughout the home. Main floor laundry room, mudroom and study. Huge bonus room over the 3 car 10.5 ft. high garage. There is an additional 1755 sq.f. in the walkout basement with 9 ft. ceiling, just waiting to be finished, already roughed in for a bath. Large yard for play and relaxing. Easy commute to 84 and 684, shopping, entertaining, transportation. Directions: Rt 39 (Ball Pond Rd) To Kingswood, To Belair. If You Are Doing A Drive By, Please Pull Into The Driveway A Little And You Will Be Able To See The House.